A letter of recommendation (from a non-family member such as a teacher, employer, clergy, etc.) is required. 1. Describe your motivations for earning a college degree and explain why Indiana State University is the best place to achieve this goal. 2. How do you define academic success? Considering that definition, what skills do you possess that will ensure your success at Indiana State University? 3. 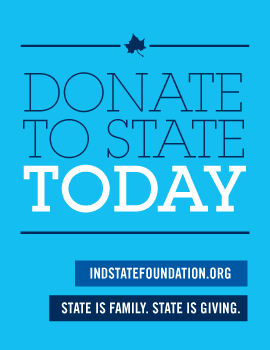 Indiana State University has a strong commitment to community service. How would you contribute positively to the STARS and campus community? 4. If accepted into the STARS Initiative how would you use the support and resources available to STARS students to ensure you have a successful first year at Indiana State University?